In a series of 3 to 4 weekly sessions your decisions will become aligned with the healthy you that has been underlying many masks and unhealthy choices. Strategic Intervention Life Coaching with NLP is facilitated as I listen to what you tell me about yourself. Dynamic changes start from the first session. 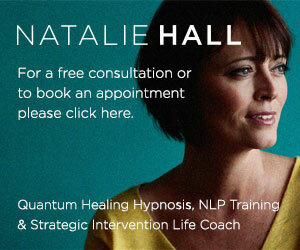 Hypnotherapy is added which includes your updated positive personal triggers that we have discovered with NLP. You can listen to your recording daily as repletion builds new healthy habits and motivations. The first 2 sessions are 2 hours in duration and the follow up is 1.5 hours. You receive a new updated personal hypnotherapy recording with each session. Deeper more dynamic hypnotherapy continues on the second session. This way you understand your real motivations and decision making at both a conscious and subconscious level, making healthy choices far easier. Gastric band hypnosis can if desired be offered between the third and fourth session depending on your weight and progress. You are welcome to a free telephone consultation so please get in touch today. My 1-to-1 sessions are in Bournemouth, Dorset.